Pretoria - Bulls tighthead prop Werner Kruger says they have the talent to thrive in Super Rugby this season. Many South African rugby fans, especially those in Pretoria, still reflect on the Bulls’ glory days in Super Rugby. In 2007, 2009 and 2010, the team surged to the tournament crown, confirming their status as the country’s most successful franchise. However, they have failed to lift the trophy since then. They came close in 2013, suffering semi-final heartbreak as the Brumbies scored a late try to steal a 26-23 victory at Loftus Versfeld. They also qualified for the wildcard playoffs in 2011, but otherwise, they have struggled to dominate like they did before. The main reason for this regression is the loss of experienced and talented players in recent years. The Bulls have struggled to match the offers presented by European and Japanese clubs, making it difficult for team to keep hold of their big names. Veteran hardman Kruger, however, believes the team can return to these memorable heights with their current squad as the Bulls boast a good blend of experience and talent. 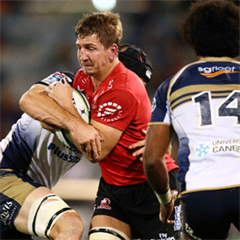 “The two outstanding memories of my career have to be making my Springbok debut and being part of the Bulls team that won the Super Rugby title in 2009 and 2010,” Kruger told MyPlayers.co.za. “Those two seasons were very special. The players formed a tight unit as a squad, while our games in Soweto were very memorable. 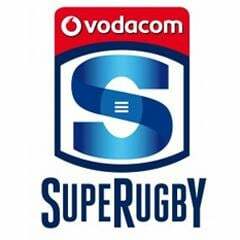 “I believe the Bulls have the quality to do well in Super Rugby this season, like we did back in 2009 and 2010. We didn’t start the season in the way that we wanted to as things didn’t go our way, but we have done well to bounce back and earn wins over the Sharks and Cheetahs. The Bulls play seven games in South Africa before their trip to New Zealand and Australia, where they will face the Blues (15 May), Chiefs (22 May), Brumbies (29 May) and Rebels (6 June). Kruger said they need to capitalise on these games before they go on tour. “We need to take advantage of the next seven games and establish a place near the top of the table to give ourselves a realistic chance of qualifying for the playoffs,” said Kruger, who boasts four Springbok Test caps and 109 Super Rugby caps. Kruger, who is currently nursing an ankle injury, is looking forward to making a return to the field in June. “I’ve started my rehab, focusing on my upper body as I’m still on crutches. It has been difficult being on the sidelines, but I’m motivated to make a successful recovery and return to the game,” said Kruger. The Bulls tackle the Force at Loftus Versfeld this Saturday (17:05 kick-off).